The TS-808 overdrive distortion pedal was an amazing success. Will this reissue offer the same sounds? Does it really justify the new price? 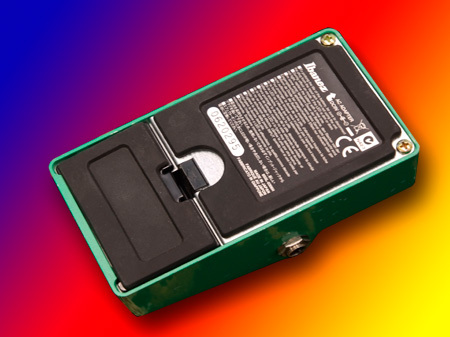 Could the TS-808 effects pedal reissue be the pedal for you? 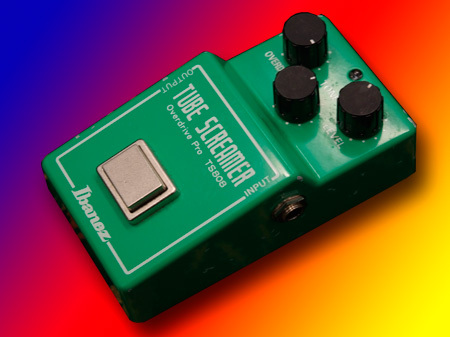 What can I say about the TS808 tube screamer boost pedal that has not been said before? Here's an in depth review. Everyone should know about this little effects pedal; and everyone should have one. Well I may stand corrected by some that this little green box is for everyone but for anyone who wants to play Classic Rock then this is the baby. Place it in front of a Marshall JCM800 (or maybe a Marshall 1987X as I recently bought) and watch that amp come to life; indeed just as you have listened over and over again on those classic tracks but probably didn't know it. Yes the TS-808 is almost an institution when it comes down to classic rock. But this effects unit in question is a reissue. Now if you're one of those old school guys you will by now wanting to close this review and you will have already decided that the reissue TS808 is rubbish. We all have our own views and those may well be yours. But those views are often tinged with a little snobbishness like 'I have the old one it's much better' and 'mine is worth...' well actually none of that matters does it? What really matters is whether this pedal is at least as good as the original or even better than the original! Most reviewers will harp on about the equipment for guitarists and how you wil or will not like the sound etc. ad nauseum. Well think about this; there are basically two things that matter, does the unit do what it supposed to do? and most importantly how does it sound to your audience (notice I did not say 'how does it sound to you'). That's right, you bought this to sound good to your audience didn't you? The most important thing about a musician is how he sounds to the audience and not necessarily how you think you sound even if you do like to hear yourself! So here we are reviewing the TS-808 reissue. I have to be subjective in this review so I'll let the cat out of the bag right now. I think the TS-808 and the reissue is damn near the same with a smattering of tiny changes; its not worth the difference between the two. I bought this one for just £50.00 pounds second hand. It looks like there has been some fool trying to age it for a better vibe, but really I don't care what it looks like - so I bought it in a snap. It was a bargain. There are just three knobs, Overdrive, Tone and Level so it's not rocket science to use. The way I use it, and the way many of the old school Marshall guys use it is in fact not as a distortion pedal (which actually it is not that good at). I use it as a method of increasing the input volume to the preamp, and keeping the overdrive low. This has a similar effect to increasing the output of your pickups without adding much distortion from the pedal. The sound in front of a Marshall is glorious; even from this 'reissue' it sounds the same to my ears as the old units do. You could go and spend £400.00 pounds plus on one of the old ones (if you are silly enough) and they are getting more expensive by the day, or you could buy one of these and modify it to the older specs (costs about £10.00 pounds in bits (a good idea) or you could just do what I did. Wait for someone who wants to dump one of these because they believe what others say that these are in some way inferior to the originals and maybe they don't know how to use one properly; grab the bargain of a lifetime (which I did) and use it as you get it (the best idea so far). Anyway, it's your call. You can basically do what you want to; but don't lose sight of the fact that it is your audience who will tell you if it's any good or not. Not some reviewer like me, or your mates, or the music store, or the manufacturer. So I rate this as good as it gets - the new ones are about £110.00 pounds on the streets or less and if you get one like I did, then it's a veritable steal - it's got to be a 10 out of 10 for this one. Check one out soon. If you use this pedal correctly it's a keeper. If you use it as the guy who bought it before me (I was told it was just a few months old) then he clearly did not 'get' the sounds or vibe from this pedal. If you are all about turning everything up to 11 (hello Nigel) then this TS808 reissue or for that matter even the old TS808 is not going to be for you. Just buy an amp with extra preamp tubes in it like the E670 from Engl. But if you want 'that' sound like the classic stuff then this is the pedal for you. I did go to see Michael Schenker a short time ago and had the pleasure of being about four foot from the stage for the whole gig. Michael is an awesome guitarist, and apart from a few other simple pedals, in front of his Marshall JCM800 was one of these pedals. Oh yes, and it was a reissue. 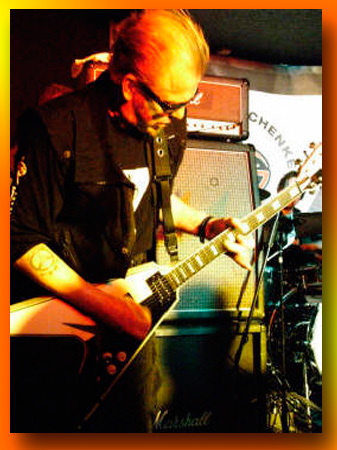 One thing's for sure, if it's good enough for Michael Schenker then trust me it's good enough for your audience too. If its good enough for him it's good enough for you too.